Gloucestershire, UK, July 2, 2008 – In light of the recent legal ruling in France resulting in a $63 million fine against eBay for selling counterfeit luxury goods, the global issue of product authenticity among online auction sites has been brought sharply into focus. 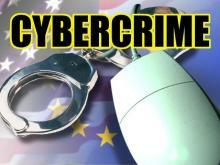 Cybercrime and “e-fencing” are serious matters in the US as well, costing consumers an estimated $4 billion annually. A judge in the US is due to rule at any time on a similar case brought by Tiffany. This threat was identified eight years ago by the founders of CheckMEND.com, an online property validation service, who have compiled what is now the world’s largest database of counterfeit and stolen goods with more than 100 million records. A simple online search (or “check”) allows auction sites, consumers and manufacturers to validate the authenticity of a product for less than a dollar. 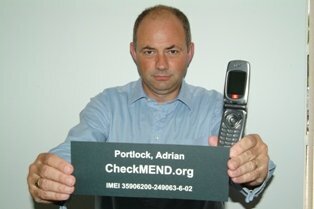 A short demo of the CheckMEND system can be viewed at www.checkmend.com. CheckMEND is a commercial service provided by Recipero Limited, a specialist aggregator of information. Based in Gloucestershire, UK, Recipero provides services to a range of blue chip clients and government organizations. The data on the CheckMEND database is checked over 1 million times a month by hundreds of approved organizations from more than 40 countries worldwide. For more information, visit CheckMEND at www.checkmend.com. I have just been watching BBC News and one of their features was ‘Why shopping online could reward’. The feature really focused on the fact that shoppers who like to spend their money online could also be earning at the same time and used an example from a woman who would only purchase items once she had sold a few on eBay and made a small profit. Great example of how online shopping can really work well with the current credit crunch. However, I do wish the BBC had highlighted some of the risks involved in online shopping, like CNBC have done. Yesterday we launched in the US and have already seen some coverage including from the Denver Post and it states we aim to curb the cybercrime of selling suspect second-hand goods. Hopefully there will be more to follow. From the global population of internet users 27% are in the US and having read a lot of online articles and blogs e-fencing is proving to be a problem which the US are struggling to control. E-fencing laws have been discussed as being essential to combat organised retail crime. However, CheckMEND should now be an answer to their prayers, so let’s see how it goes. For example; Andrew Gudelajtis, from Mansfield, bought a Vodafone Nokia mobile phone from eBay for his wife. The phone arrived in a sealed box and was sold as being brand new, but after using it for six weeks the mobile phone stopped working. He decided that he should use CheckMEND to check the IMEI number on its database. The search came back and identified the phone as being stolen or blocked. Unfortunately Andrew was then unable to re-trace the eBay seller and is left with a phone that doesn’t work and at the moment he is pursuing Vodafone to see if they can help – either by unblocking the phone or chasing the seller. Hopefully he will have some luck at some point, but it is a great example of why you should use ‘CheckMEND before you buy’ or insist on sellers having a CheckMEND report. Or as I mentioned within my last post we should push for eBay to insist all sellers conduct a CheckMEND report! Any questions – please fire them this way! Thanks for checking out CheckMEND as we open for business here in the US. We’ve done a lot of work – and have had great success – in the UK helping buyers and sellers combat the problems associated with cybercrime relating to second hand goods. This even shocked us: US citizens lost $239 million in various Internet-based fraud schemes. Not surprising, cellular phones are one of the top items sold on online auctions sites with eBay recently confirming that the residents of Los Angeles last year sold 24 million items for nearly $1.4 billion and cellular phones were the best selling category. It is a really easy-to-use service for identifying serial numbered stolen and counterfeit goods offered on the Internet. CheckMEND offers consumers and businesses nationwide safe, fast, easy and very affordable checks against the world’s largest publicly available database of more than 100 million records of information that may be relevant to any prospective purchaser. Bottom line: we’re trying to prevent you from getting burned. 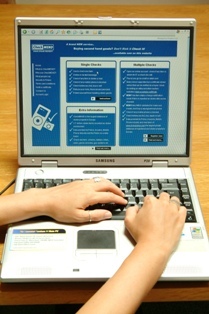 A search on www.checkmend.com costs just $2.99 with even better pricing when multiple checks are made. Every check includes a printable comprehensive history report showing all the information available on the system. This includes whether it is registered as stolen, had its identity changed, or has been subject to an insurance claim for damage or loss. Anyone checking a cellular phone also can verify whether the phone has been disabled by network carriers worldwide. This is all really important so you actually get what you think you’re paying for. We look forward to providing regular updates from the CheckMEND team, state of the industry and ongoing perspectives about protecting your personal items. E-fencing on eBay – let’s enforce the check before you buy! E-fencing – it’s an easy way to make fast cash and there are no regulations to stop you. BUT we can change this. E-fencing is increasing everyday, according to CNBC , with the help of faceless online auction sites such as eBay and we need to really start looking into ways to overcome these issues. Well CheckMEND already have. CNBC news in the USA have been really pushing the dangers consumers are facing in order to make e-fencing a more recognized problem. The US-based National Retail Federation even went as far as to predict health problems caused by e-fencers re-selling stolen beauty products online, listing Cover Girl, Olay and RoC as the most common targets of e-fencing. New York based Tiffany & Co has previously filed a lawsuit against eBay, and a host of other major retailers have all tried to persuade eBay and other online auction companies to combat e-fencing, but little has moved forward. Although eBay is right, I still believe it is also the responsibility of eBay, and other online action sites, to protect their users. One simple way of doing this is to CHECKMEND IT. From our perspectives, asking all sellers to carry out a compulsory CheckMEND check would solve a lot of e-fencing problems. Currently, there is an option to carry out a checkMEND report on eBay but it’s not compulsory. If we can persuade eBay to enforce then at least consumers will know they are shopping safely with eBay! Reassurance is all they need. – 196,089 Los Angeles residents sold 24,051,645 items for a total of $1,396,037,518. – Best-selling categories for Los Angeles sellers were cell phones and their accessories as well as clothing and accessories. – Los Angeles sellers were also the most charitable eBay sellers last year, donating the most of any city via eBay Giving Works, eBay’s program that helps people buy and sell for a cause, turning e-commerce into a force for good. – 158,859 New York City residents sold 12,621,651 items for a total of $1,045,503,913. – Best-selling categories for New York sellers were jewelry, gems, watches and clothing and accessories. 172,972 Chicago residents sold 10,229,844 items for a total of $908,708,440. Best-selling categories for Chicago sellers included toys and sports memorabilia. 120,900 Philadelphia residents sold 7,069,212 items for a total of $584,383,915. Best-selling categories for Philadelphia sellers included collectibles and toys. 85,484 Dallas residents sold 5,003,292 items for a total of $754,493,210. Best-selling categories for Dallas sellers included jewelry, gems and watches, and clothing and accessories. Dallas sellers also made more money on sales of cars and trucks than did sellers in any other top-10 U.S. seller market. 75,486 Orange County residents sold 6,945,490 items for a total of $636,654,084. Best-selling categories for Orange County sellers were auto parts and cell phones and accessories. 112,462 D.C. residents sold 5,024,888 items for a total of $393,720,726. Best-selling categories for D.C. sellers included books and toys. 76,450 Houston residents sold 4,297,389 items for a total of $528,872,858. Best-selling categories for Houston sellers included health and beauty and collectibles. 70,714 Nassau-Suffolk residents sold 5,396,880 for a total of $400,253,200. Sports memorabilia and health and beauty were best-selling categories here. 39,623 Fort Lauderdale residents sold 2,838,954 items for a total of $631,845,063. Best-selling categories for Fort Lauderdale sellers included home furnishings and auto parts. or auction sites like eBay. Additionally, 30 percent of all adults say they are likely to sell their personal or household items over the next three months to earn extra cash. Great, but are you sure they are not stolen!!! n the band wagon and make sure a CheckMEND check is enforced with all sales on eBay.